Before writing this post , i use to have a very big problem when it comes to managing data plans , i always taught something was wrong with the networks provider's data because of the way it finishes up so quickly without reaching the due validity period . After much anger at heart i decided to ask friends and close ones about their data plan and how it last up to a month of usage , and i found out that the problem was with me . The problem was with me in the sense of the way i task the said data plan with heavy usage and unusual download anytime i see a download button , and i forgot the plan isn't unlimited . So in other to make the data last longer you need to be mindful of how you use it . 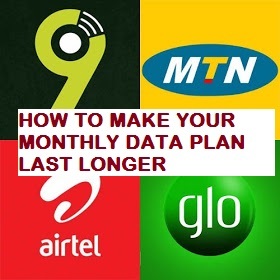 So below are some ways you can use to prolong and make your data plan last longer. 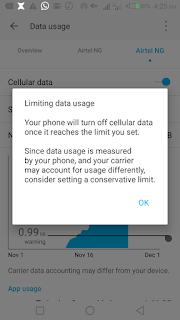 Setting a daily data limit will make you get warning from your device or turns off your data automatically when reach your limit/you're about encroaching more that the limit you've set , this will make you limit your usage of data if you were over tasking . 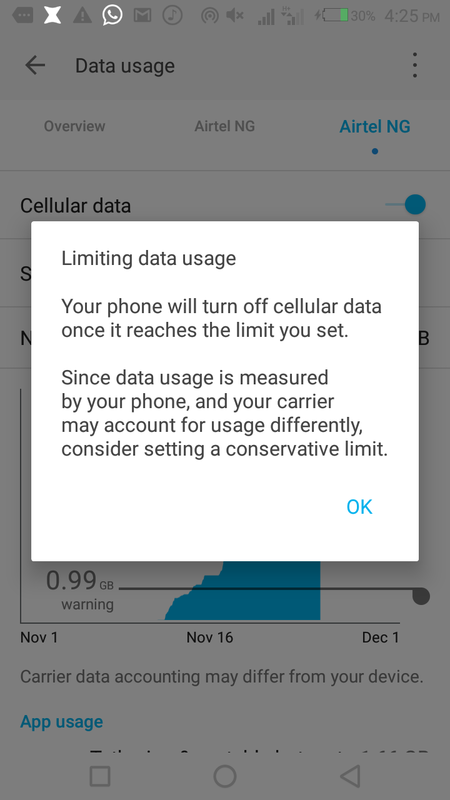 To set this you can go to your setting and locate "data usage" and set cellular data limit. This means try as much as possible to stop unwanted apps that you're not making use of from using your data , by disabling them , this will make all apps not in used to be inactive and you will be using data on the active apps . 3. TURN OFF DATA WHEN NOT IN USE . Turning off data when it is not in use , all also lasten your data plan , and preventing usuage from stubborn background apps. Some people download anytime they see a download button , that isn't right , you need to download only what you need and not everything you see ,try not to always download anytime you see a download button and you'll see improvement on your data longevity . Sometime you might have a very needful video you may need to watch and you just hit up YouTube to stream , streaming burns down data fast , so it's better to download /get the copy of the video than stream , because sometimes network could interrupt making you restarting . There are many other ways to make your data plan last longer but i've use this above and they worked great for me , i'll advice you try them if you're having similar issues and you should be good in no time .